A brand new family festival is coming to Tayto Park this summer. 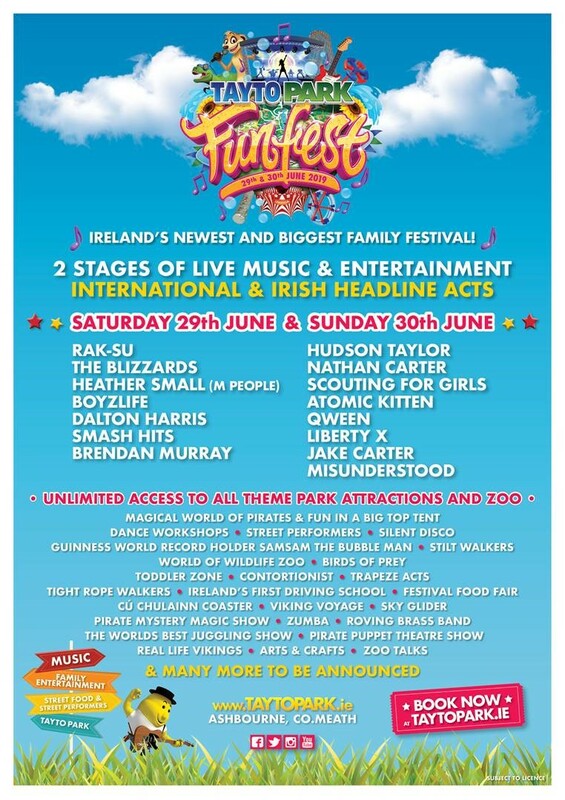 Funfest takes place on June 29th and 30th. Rak-Su, The Blizzards, Hudson Taylor and Scouting for Girls will all perform across the weekend. M People's Heather Small, Atomic Kitten, Liberty X and Boyzlife will also take to the stage. The festival will also feature a circus performers, magicians, dance acts, art and more. Speaking at the announcement, Nathan said “I’m delighted to be part of the first FunFest and as well as taking to the stage on Sunday 30th June, I am determined to finally experience the world renowned Cú Chulainn rollercoaster”.